Have you ever wished you had some fresh herbs from your garden in the middle of winter? Consider freezing chopped fresh herbs in ice-cube trays. Drop a teaspoon or two of herbs into each cube and fill with a little water or broth of our choice (chicken, beef, vegetable). Pop our the cubes to use in soups and sauces. Here is a quick tip from Organic Gardening on the process of freezing your fresh herbs so you can have them this winter and be able to enjoy them all season long. 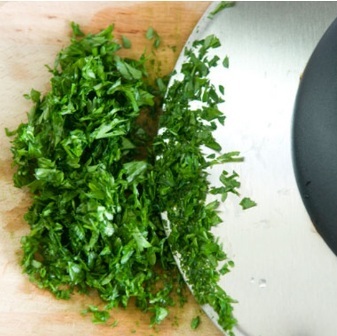 Do you have other tips on how you preserve your fresh herbs? Please share your tips with us. I've been looking around for some advice on this subject and I am so thankful you posted this up. We have had quite a robust herb growing season and we wanted to be able to carry that over into the winter months as live in NH. Thank you! Great article. You can also add a little bit of olive oil along with the herbs when freezing in ice cubes. This is great for making pesto or other sauces. my-home-remedies - Thanks for the tip on the olive oil. Our Simple Souls - Enjoy adding your fresh herbs to recipes this winter. Please share some of your favorites with us.